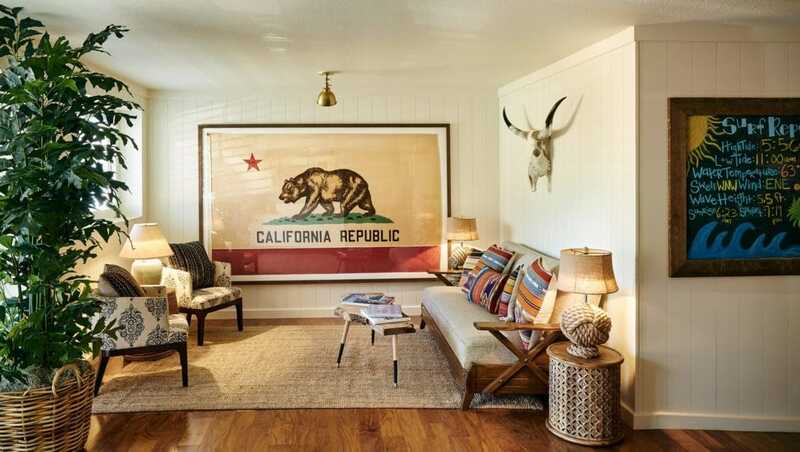 Laguna Beach: the iconic southern California destination. If you're looking for your next vacation destination, then you must put the charming coastal city of Laguna Beach, CA. on your list. Located in Orange County, the Laguna Beach area boasts sunny weather all year long, Laguna is rich with artsy locals and events, beaches galore, and pristinely-preserved nature. There’s no shortage of things to do and see here, whether you’re enjoying a romantic escape or weekend trip with friends. 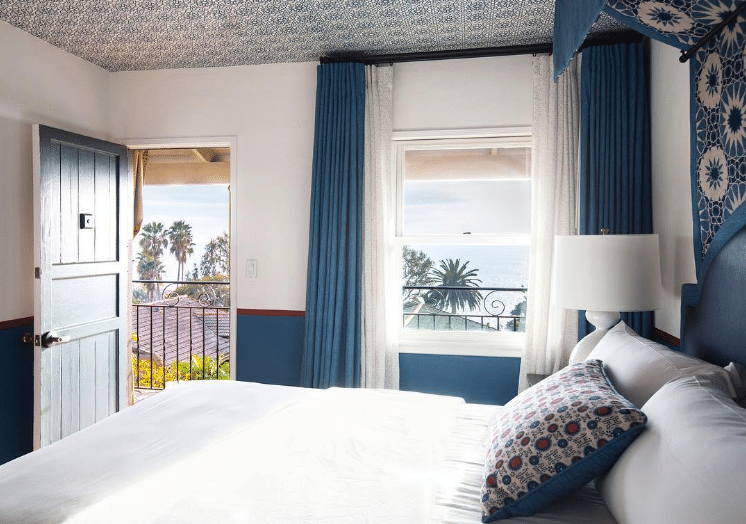 That being said, choosing the right place to stay can either add to or detract from your experience, and there are plenty of quality hotels in Laguna Beach to choose from. 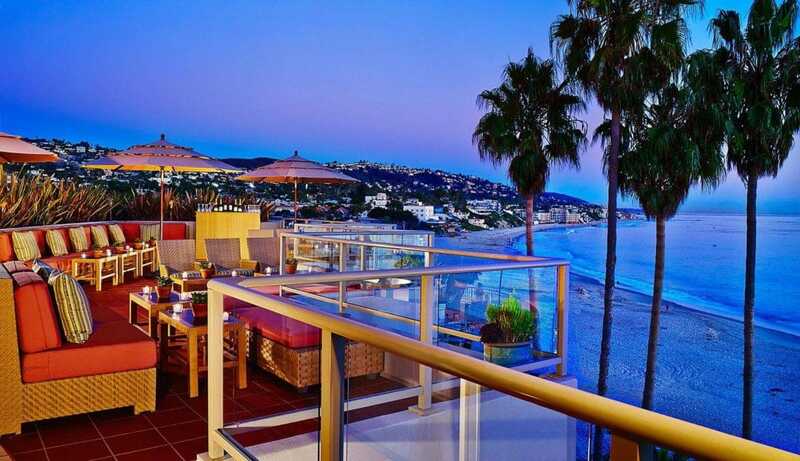 Many of these best hotels in Laguna Beach feature sparkling views of the Pacific Ocean. We’re hoping to make that decision a little bit easier. 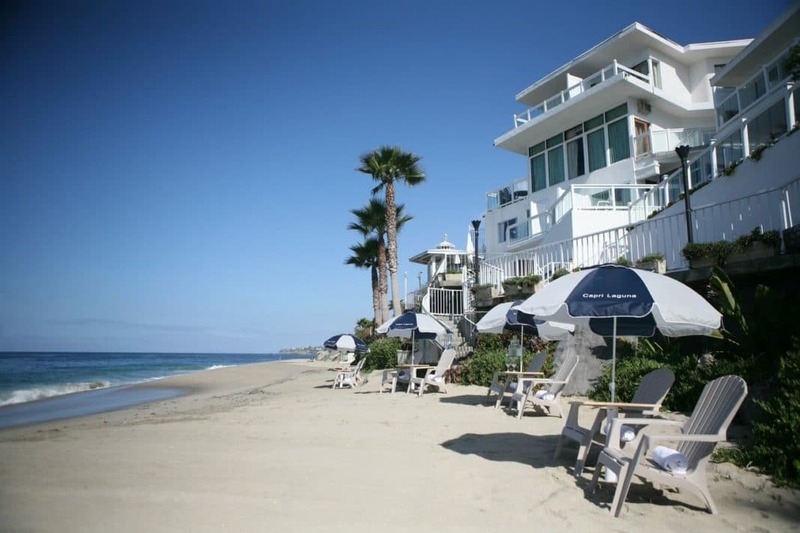 So with that, here are the 10 best hotels in Laguna Beach, plus an additional guide to choosing the right one for you. The chart below displays the best hotels in Laguna Beach for 2018 along with their ratings. Click "Read Our Review" if you want to see a more in-depth individual review for each one. 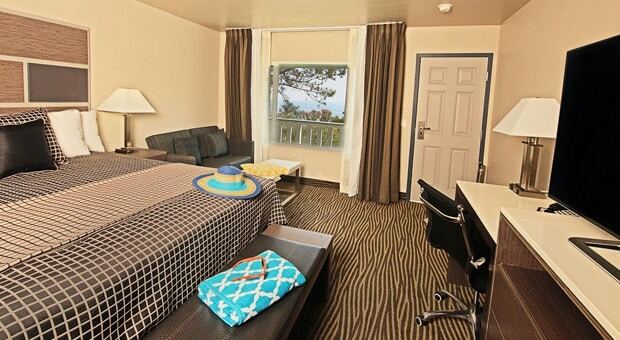 As we previously mentioned, there are a ton of options when it comes to choosing a Laguna Beach hotel. Different hotels will meet different travelers’ needs and preferences, so knowing the general features of each will help you make a better decision. So with that being said, let’s break down the most common types of hotels this SoCal city has to offer. Beachfront hotels are those that are either directly situated on the beach or at least have very close access to the beach. 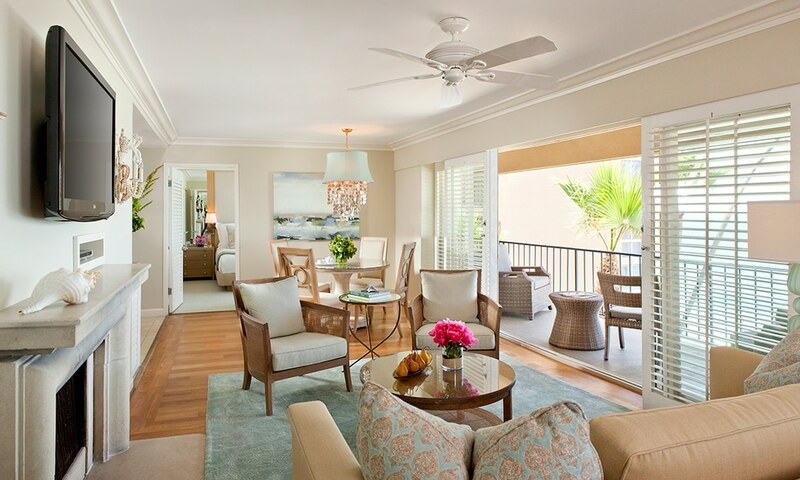 They are generally embellished in warm, coastal colors and seaside décor, and also even boast private balconies for clearer ocean views. If you're dreaming of beach days every day, you'll probably want to make a beachfront hotel your go-to hotel type. When you think “boutique hotel,” think intimate, unique, and luxurious. These are hotels that stand out from the rest, especially because they are generally independent from larger brand names. 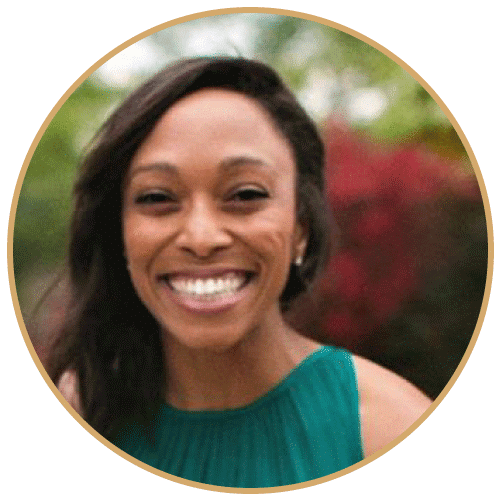 They’re all about the minute details, from the décor of guest rooms, to the ingredients they use, to the extravagantly personalized services they offer. 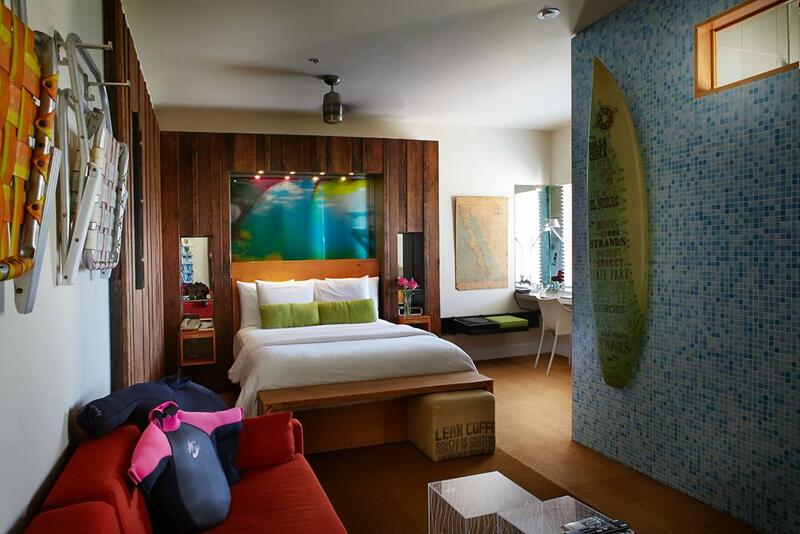 So if you want to stay at a hotel that’s just as exciting as Laguna Beach itself, a boutique hotel is the way to go. Often the smaller size means that boutique hotels are within walking distance of the top sightseeing destinations. The name gives it away, really. 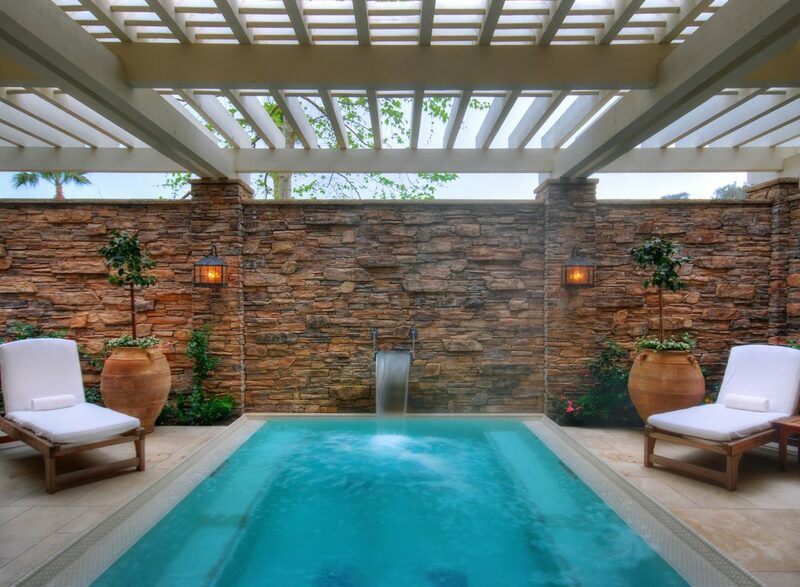 A spa resort is one that has a heavy focus on wellness programs and spa amenities. Whether you're interested in yoga classes or lavish spa facilities, these resorts are perfect for indulging in luxurious body treatments you can’t get at home. They also tend to feature an additional abundance of other activities, and are generally opulent in décor and services. In need of a dose of rejuvenation? A spa resort in Laguna Beach will get the job done. A genuine luxury hotel is essentially an ultra-enhanced resort, upscale in every aspect. 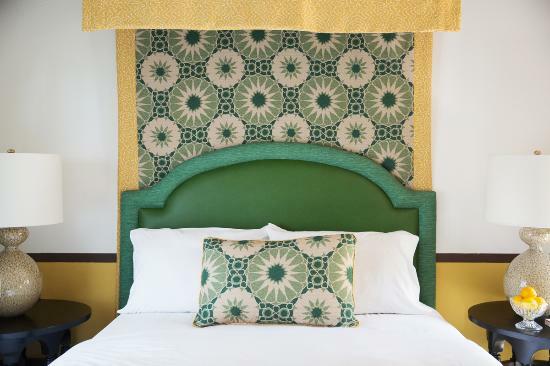 While it's similar to the boutique hotel in that it pays close attention to detail, ensuring that every feature is the best of the best, there's one big difference. Luxury hotels are usually part of larger brand, but that certainly doesn't detract from their quality. From gourmet dining, to smooth check-in and check-out processes, extravagant rooms in every inch, to indulgent amenities, luxury hotels are pure grandeur. So, if you're willing to pay a high-price, you'll be in for some serious pampering. 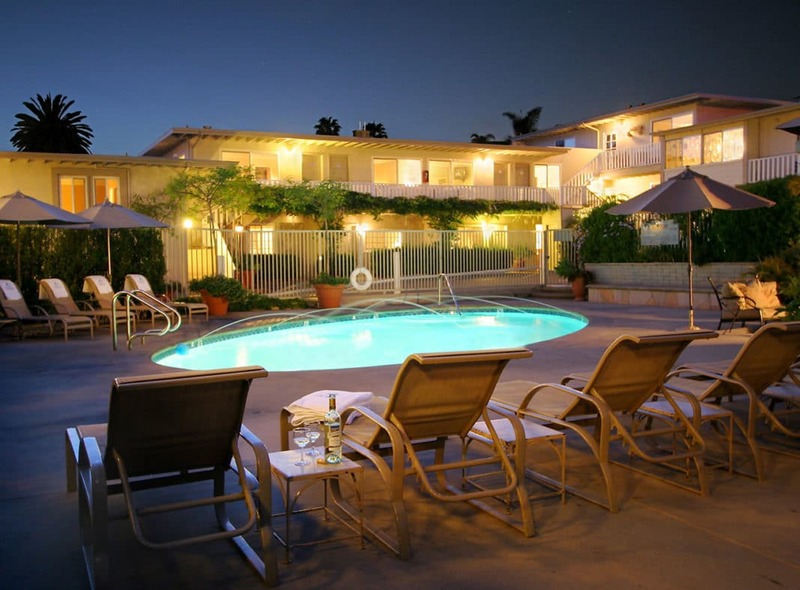 Now that you know a little more about the types of hotels Laguna beach has to offer, it's time to make a choice. But before you pull the trigger, here are some things to consider. 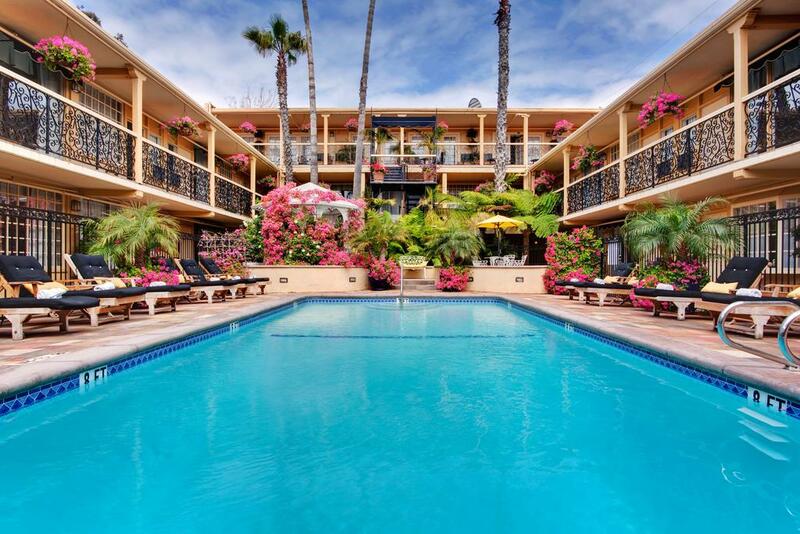 Some hotels in Laguna Beach may charge a steep price, but that steep prices include all the amenities and services that interest you. Others charge similar prices but sneakily charge for certain amenities and services that are a priority for you. You don’t want to get stuck paying even more for valet services, or those gym classes, or your morning coffee, right? 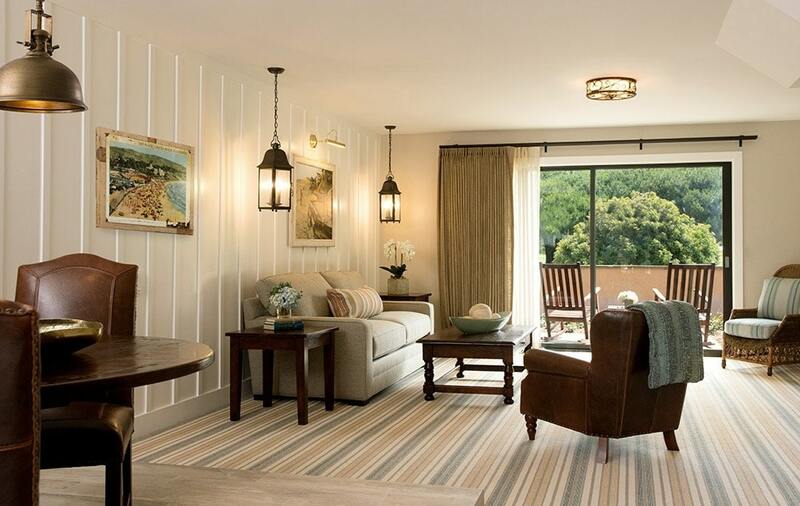 So if you’re going to pay the big bucks for a luxe Laguna Beach resort, make sure the features you want are included. Hoping for a romantic dinner on the beach? Or maybe your goal is to work remotely from your hotel room a few hours each day. While it might seem like a silly step, it's crucial that you know the amenities and services actually offered at the hotel you're interested in. If you don't do your research before hand, you’ll be sadly disappointed when you end up in a hotel where these options don’t exist. Therefore, check the website of your Laguna hotel of interest to get the lowdown on what they do and don’t offer. Depending on your itinerary priorities, the location of your resort has the potential to make a huge difference. A beach-cation calls for genuine beachfront hotels, a food-focused adventure should be close to a handful of restaurants, and so on. Because who really wants to spend the majority of their days getting from place to place (unless walking is their vacation goal…)? So as long as you look at your potential hotel to see where it is in relation to the other things on your to-do list, you'll be hassle free. 1. What features are you not willing to compromise on? Know what features, amenities, and services are imperative for you, and make sure the hotel has is (and also doesn't charge extra for it). Whether it's wifi, parking, or the gym facility, you should read both their website and their reviews before moving forward. 2. Is it suitable for the type of vacation you want? If you want a romantic getaway with your significant other, you'll be more than satisfied with a spa resort or boutique hotel. Or if you're wanting a family getaway, you and your crew will love the beach front accommodation options available. So just remember: match your vacation type to the hotel type you search for, and you'll be golden. Whether you choose to stay in the 500-square-foot Ocean Horizon room or the 3,000-square-foot Villa du Soleil, a beautiful ocean view awaits. Forget about hitting the beach, because you can enjoy the views and sound of the waves just as well from your window. 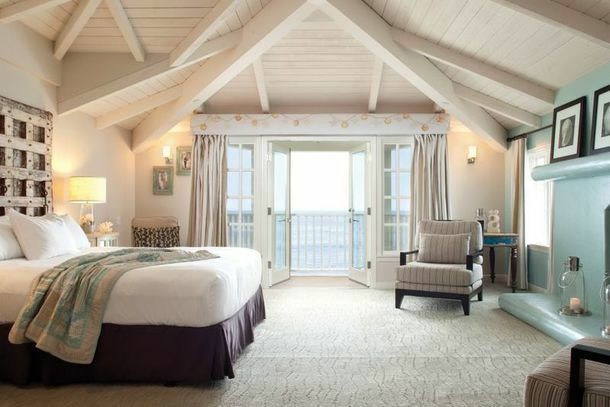 We love this about Montage, because not all beach front hotels actually offer such perfect ocean views from each room. Both the suites and standard guest rooms provide splendid luxury. If you're food obsessed like we are, then you'll be absolutely captivated by the dining options at Montage. Indulge in fine dining at The Loft or the Studio, or enjoy a delicious meal outdoors at the Mosaic Bar and Grille while you take in yet another ocean view. And if you want to get extra fancy, then you'll be happy to know that you can also reserve a private dining experience. Prepare yourself for ultimate relaxation at Montage Laguna Beach, because their spa facilities are absolutely unbelievable. at a whopping 20,000 square feet, Spa Montage has every treatment you could possibly need. Soak in their marble steam room, pamper yourself with one of their many body treatments, plunge into the outdoor lap pool, and more. The spa options go on and on, so you'll never even want to leave the premises. Now that we've covered the best hotels in California and how to go about picking the right one, it's time to make your decision. So, which one will you choose? Let us know when you do, and happy Cali traveling!